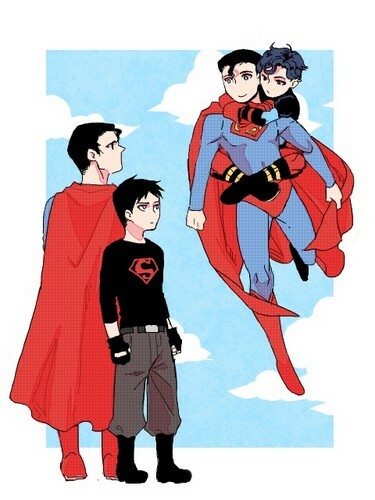 Original Comic and Cartoon Superman and Superboy. Young Justice cartoon Superman and Superboy meet their original comic book counterparts. Wallpaper and background images in the Young Justice club tagged: young justice original comic superboy superman conner kent clark kent. in the comic superboy has full krypto powers....what happened?